Walker Fence Company is an independently owned and operated fencing company serving the Triangle area of North Carolina. 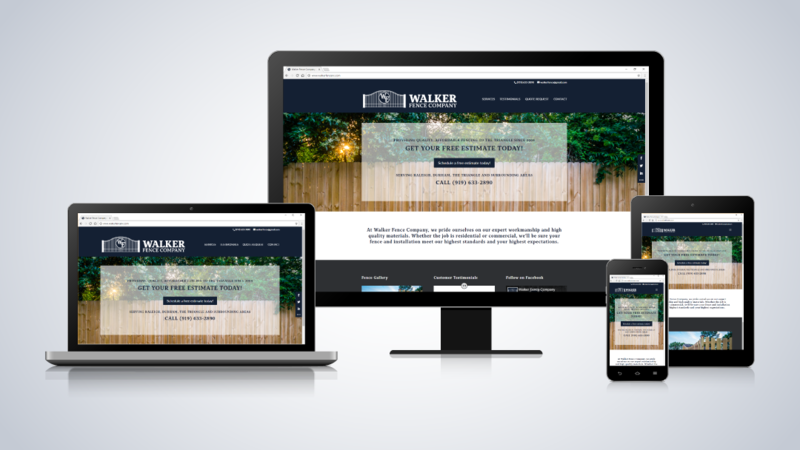 Underwood Creative designed and developed a custom responsive WordPress site to help customers find them on the web and better understand their service offerings. Underwood Creative also updated Walker Fence Company’s existing logo and created new vector graphics to ensure a smooth transition from print to web, help establish a consistent brand across social media platforms, and serve as the basis for future advertising efforts.